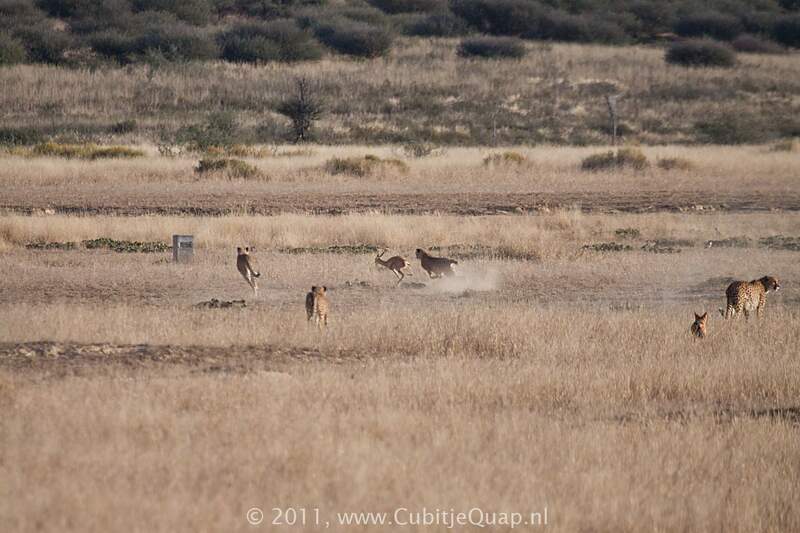 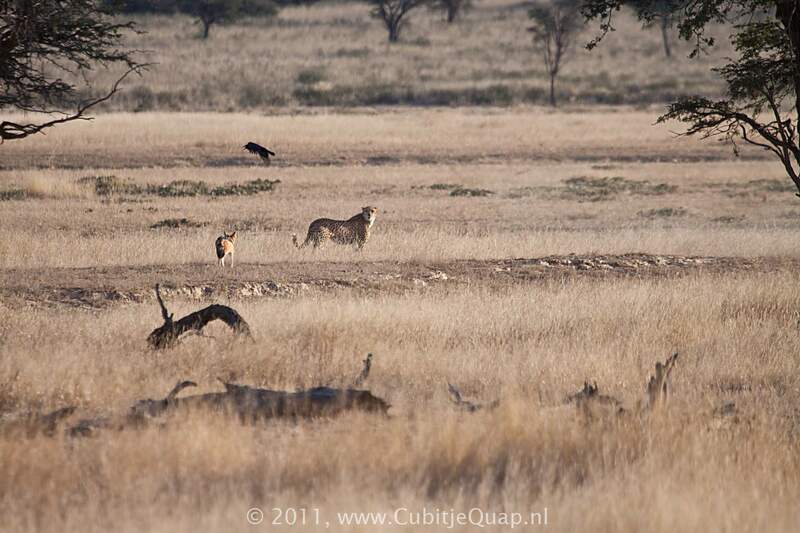 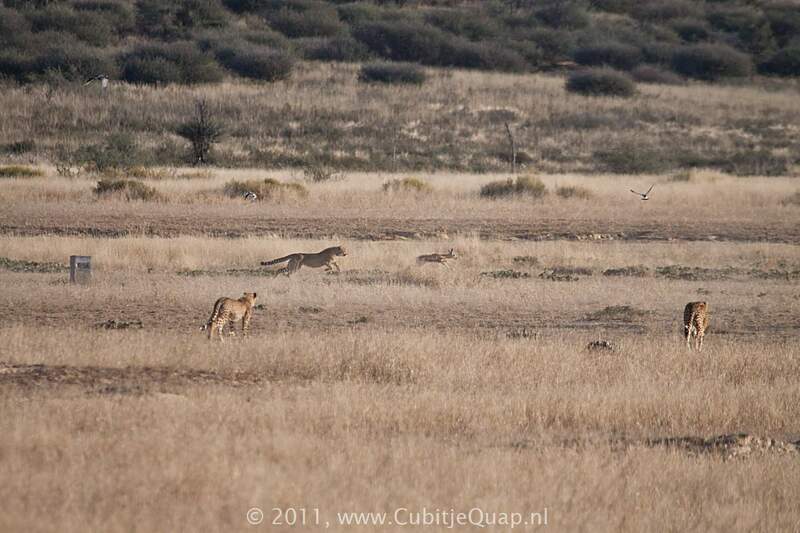 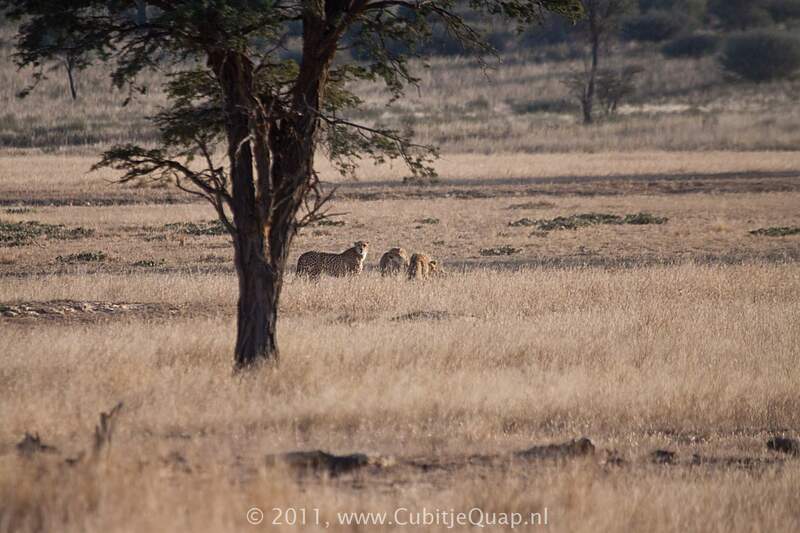 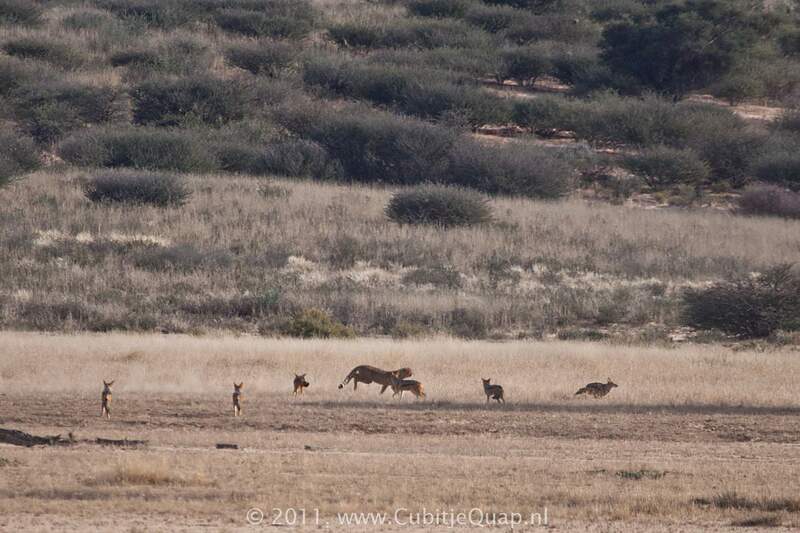 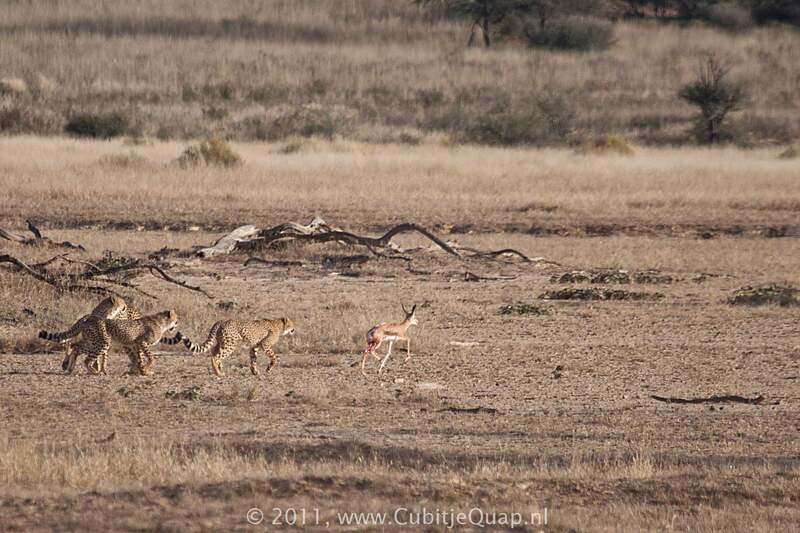 Early morning, a family of four cheetahs and a herd of springbok. 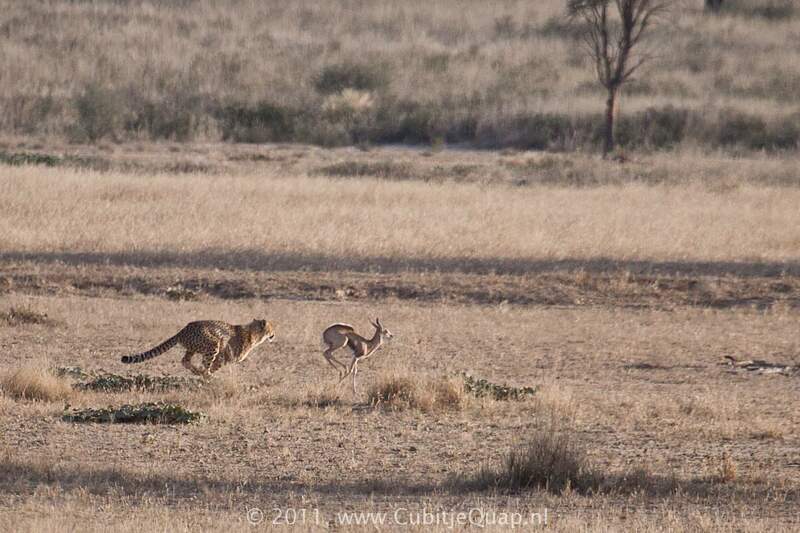 All of a sudden there is a panic. 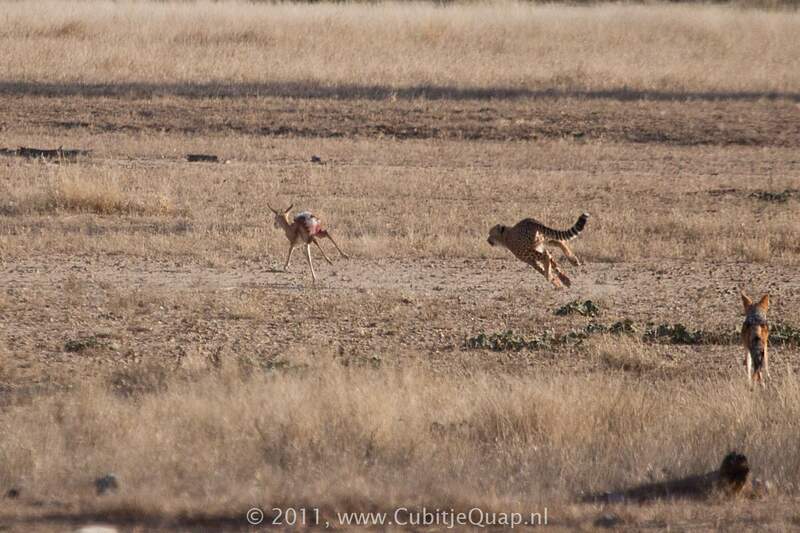 Birds flying away, springbok running away. 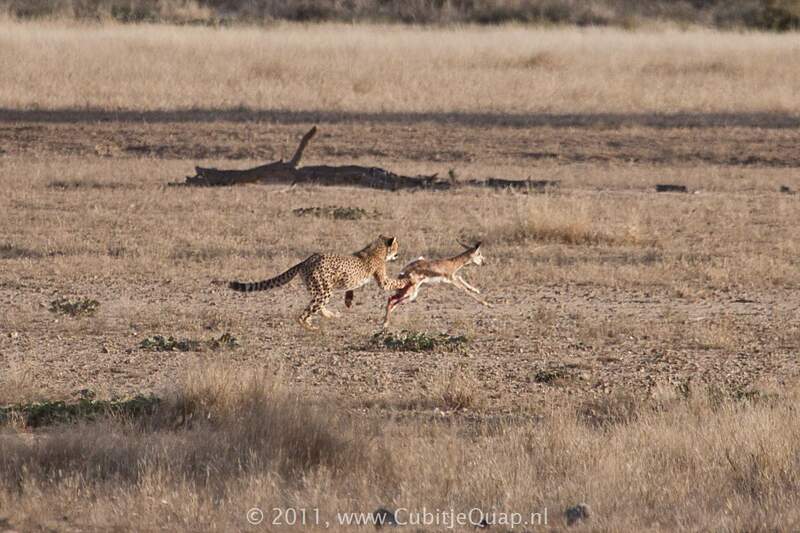 The the cheetahs have started the chase. 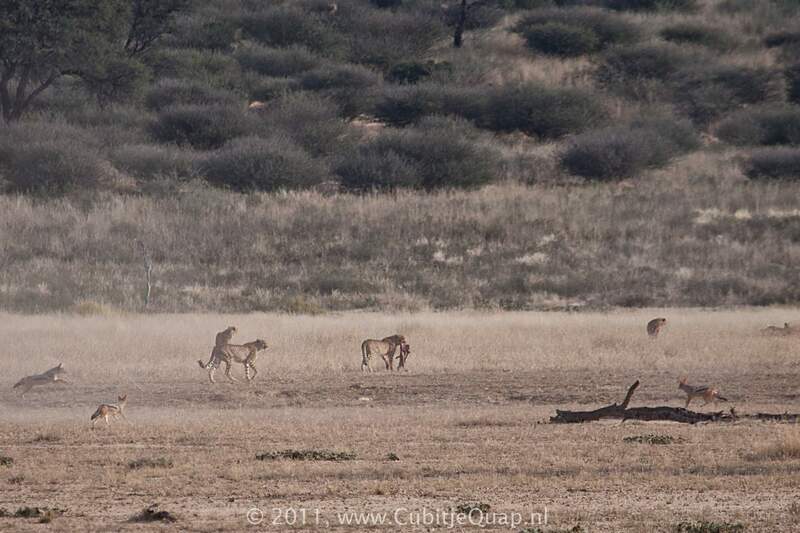 They manage to catch one springbok. 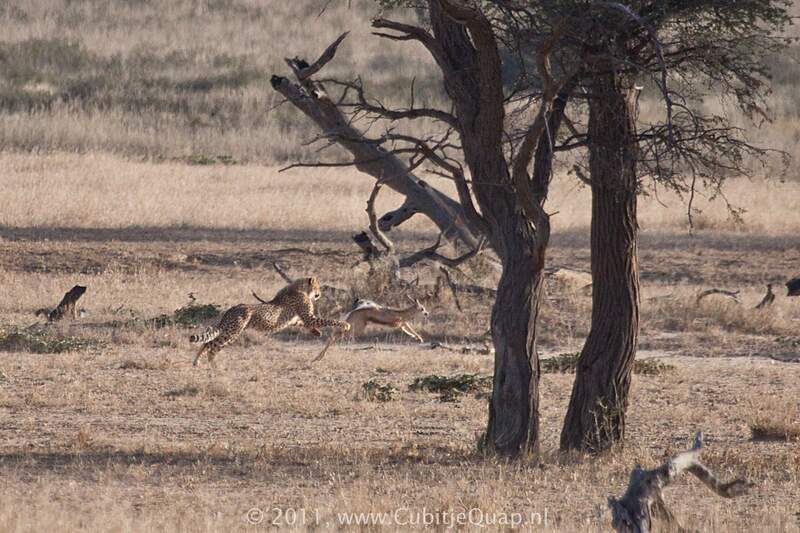 Then, repeatedly, they let it go, just to catch it all over again. 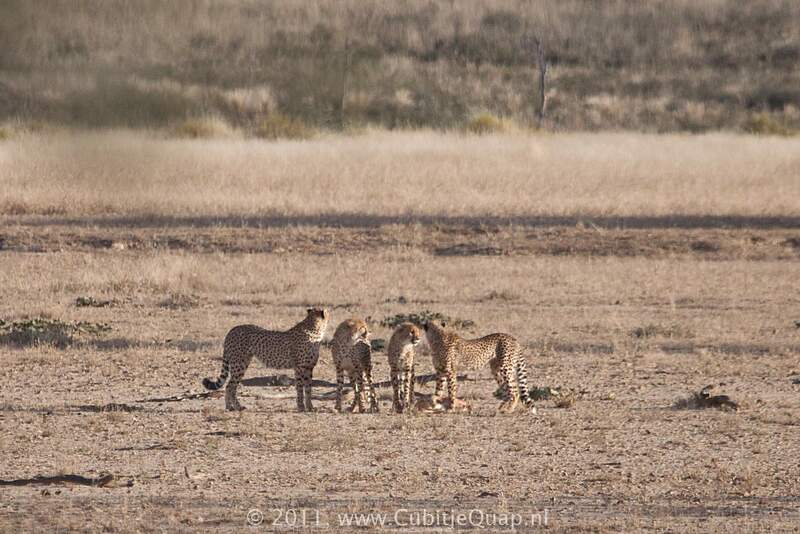 It is probably a training session for the young ones in the family group. 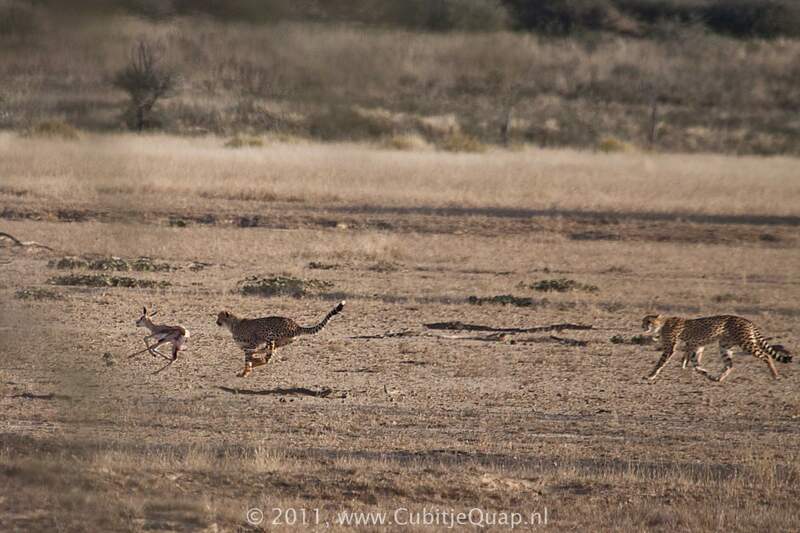 or two of the cheetahs take notice and chase the jackals away. 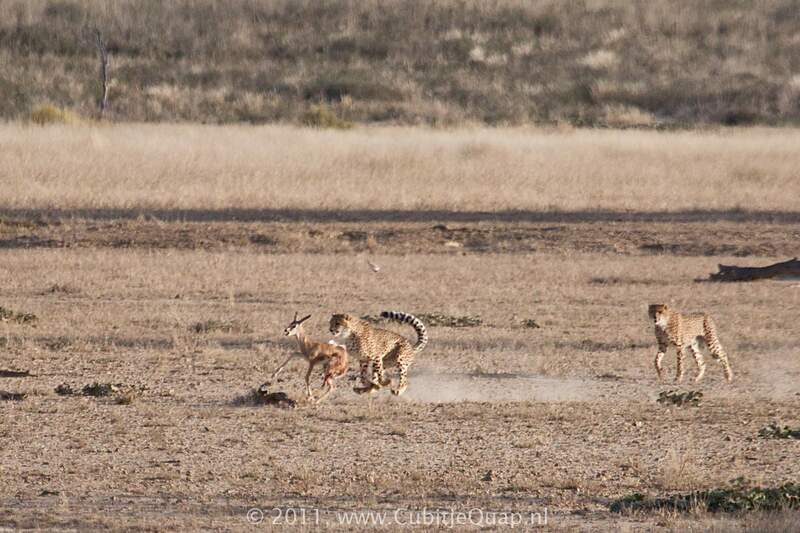 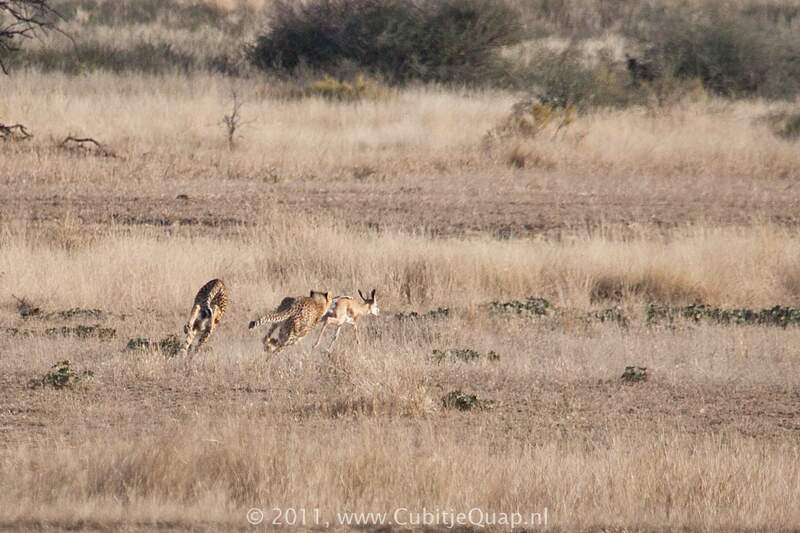 But after a while it seems all the cheetahs forget to protect their kill and they all chase the jackals. 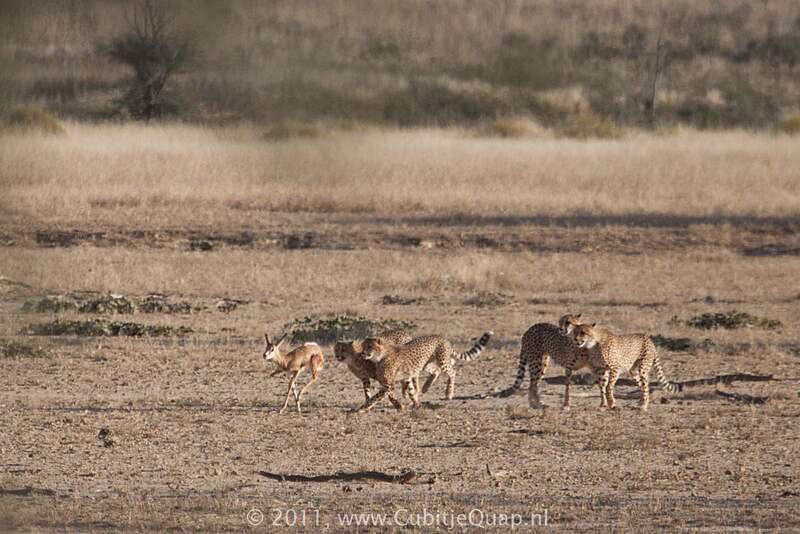 Then the jackals take care of the remains, while the cheetahs find a place to lay down in the shade.